Innovative retailers are beginning to realize that now is the perfect time to implement a unified commerce platform in their business approaches. The results of the 2017 POS/Customer Engagement Survey by Boston Retail Partners show that the future trends of grocery retail are reflecting all aspects of what ECRS has already been committed to developing. 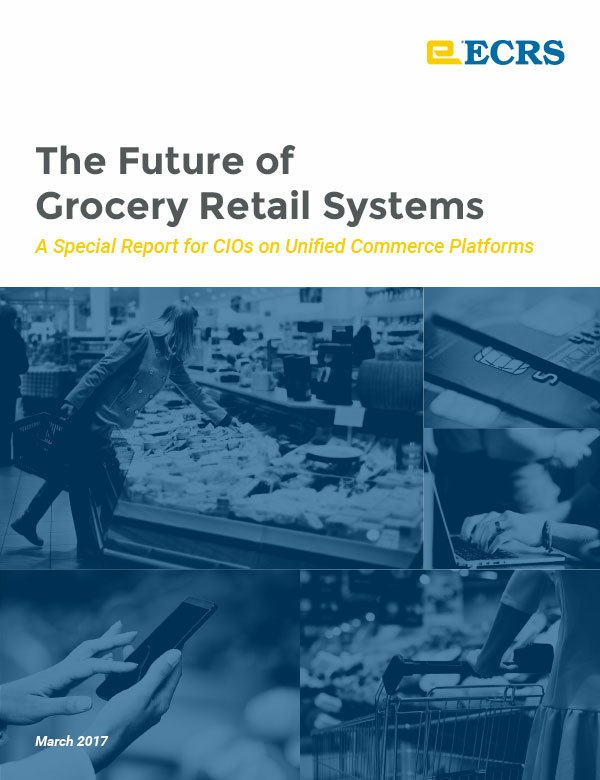 Unified Commerce – 71% of retailers plan to migrate towards a more coherent shopping environment by adopting a unified platform in the next two years. ECRS’ Catapult system will serve as a fluid transition to ease the retailers into making this change. Centralized POS – In the next two years, 60% of retailers will adopt a centralized point of sale. As always, ECRS constantly innovates to assist grocers when it comes to mobile, self-checkout, and traditional POS to provide a quick and satisfying shopping experience. Online Offerings – 75% of retailers show interest in hosting a single shared cart across channels in the next three years. The launch of ECRS’ WebCart™ will fulfill these demands and will further empower its users. Going Mobile – In the next three years, 58% of retailers plan to spend more on hybrid POS. The mobile POS system offered by ECRS will conveniently meet these demands and will make the checkout experience seamless and swift. Shopper Loyalty – 80% of retailers plan to sell based on their customers’ previous purchases. To successfully execute these incentivization initiatives, LoyaltyBot® will provide retailers with the necessary tools to recognize and reward customers. Security – 96% of surveyed retailers want to have end-to-end encryption in the next two years. Because ECRS values security, Secure OneTouch™, PA-DSS compliance, and Point-to-Point Encryption (P2PE) will help retailers keep all customer information confidential.